""We would like to thank the entire editing team of Current Drug Delivery (CDD) for its commitment to resolving all issues regarding the publication of our article. All sectors work in consonance and are quite agile. We believe that our work is of interest both in the pharmaceutical and in the biotechnology industry, since once the bioavailability of the active substance is guaranteed at its site of action, the better the result for the patient. And so it is in the interest of a whole chain of health goods production, to encourage them to study this issue of biopharmaceutical stability in more depth. At the moment, Mrs. Perissinato is working with ophthalmic release systems, it is still in progress. Dr. Trevisan is working on the same issue: characterization/stability of solid-state formulations and development of analytical methods. 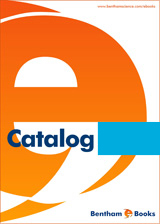 We look forward to future contributions to your journal."" ""We would like to thank Bentham Science Publishers for accepting our article entitled ""Geriatric-Oriented High Dose Nutraceutical ODTs: Formulation and Physicomechanical Characterization"" for publication in Current Drug Delivery (CDD). We would also like to extend a special thanks to Editor-in-Chief, ""Prof. Dr. Liang"", for making CDD one of the leading pharmacology and pharmaceutics journals in the world. Thanks to you and the teamwork of CDD. Anticipating continuous cooperation in the nearest future."" "I would like to thank the entire editing team of the Current Drug Delivery for their commitment to resolve all issues regarding the publication of my article. All sectors work in consonance and are quite agile. At the moment I am working with ophthalmic release systems, which is still in progress. I look forward to future contributions to your journal." "We would like to thank Bentham Science Publishers for considering our manuscript for publication in Current Drug Delivery (CDD). We look forward to continued collaboration." 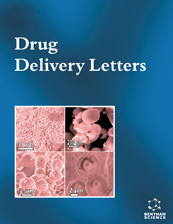 "This journal is dedicated to the drug delivery processes. Working with Bentham Science through this article truly enriched our knowledge and we would like to work with you in the future as well. Thank you for giving us an opportunity to work with you "
"Concerning my latest submission to “Current Drug Delivery” of Bentham Science Publishers entitled “"Enhanced Periodontal Regeneration by Novel Single Application Sustained Release Nano-Structured Doxycycline Films”, I have seen many good points including excellent communication system, precision and highly professional peer reviewing in addition to the very appropriate time interval between submission and final acceptance. Thank you for your efforts and looking forward to further cooperation with you." "I served as a guest editor for special issue of Current Drug Delivery in 2014. Organization of the issue was done smoothly as I was provided with outstanding assistance from CDD editorial team. It was my pleasure to work closely with CDD team, and if opportunity arises in the future, I would be happy to avail it. "